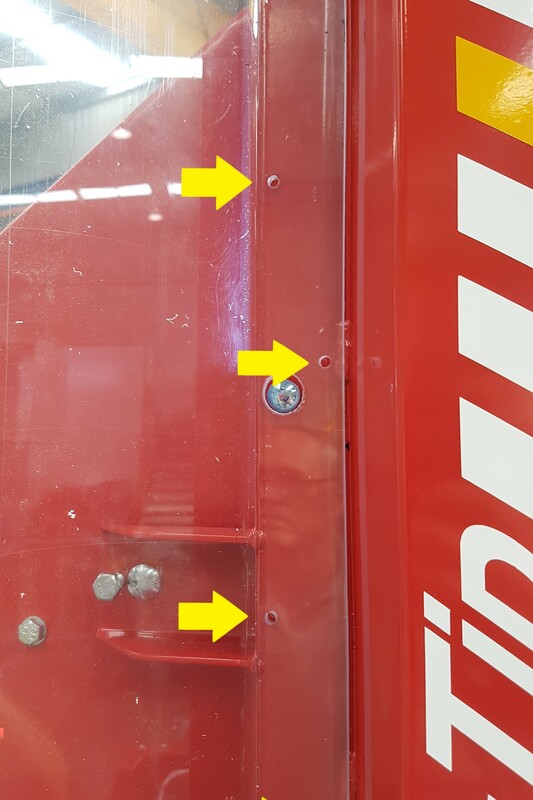 How to retrofit a polycarbonate Operator Guard to a Simpro Multi-Tip bin lifter. The Operator Guard provides additional protection against falling debris or blow back that can occur as dusty or splashable contents are tipped. 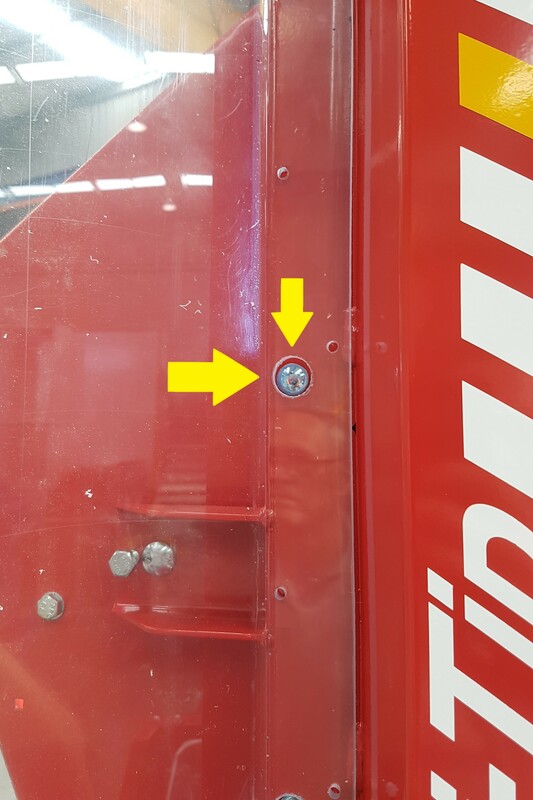 Line up the 20mm holes in the polycarbonate guard panel so that the bolt heads fit inside the holes. This allows the panel to be seated firmly against the mast. Fasten the guard to the mast through the pre-drilled holes, using short self-tapping 'tek-screws' to hold the guard firmly in place.